To celebrate, GANT is offering double points on every icon product, exclusively for members of their loyalty programme. The offer will be available between the 7th and 14th of each month until October. The GANT story begins in 1949 with a dream of creating the perfect shirt – seven decade later the ‘Button-Down’ shirt remains a preppy icon. 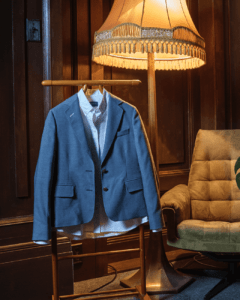 The timeless style of the ‘Club Blazer’, originally worn by sailors and students, it brings to mind afternoons at the yacht club, but today it can take you anywhere. A quintessential piece of modern American sportswear, key to the GANT brand, the ‘Chino’ is practical, comfortable and democratic in style – everyone looks good in chinos.